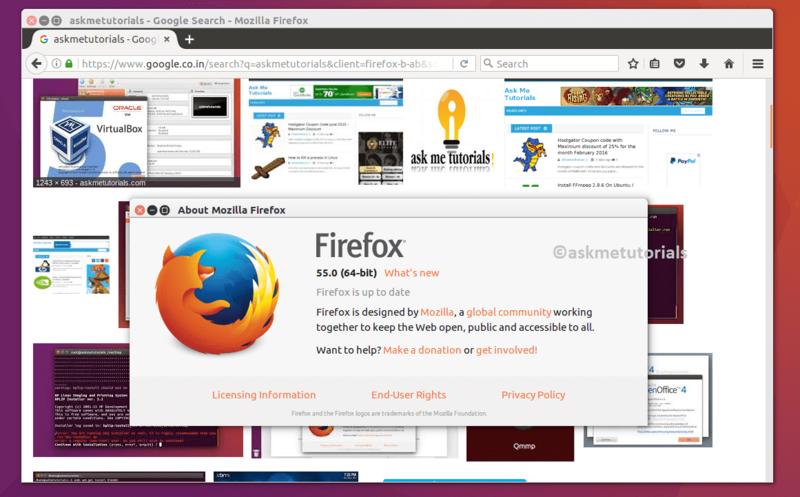 In this Tutorial I will show you how to install Firefox 55.0 on Ubuntu 17.04 / 16.04 LTS /14.04 LTS,LinuxMint 17,Fedora 26 and CentOS 6.X / 7.x. Firefox most commonly used browsers by everyone and one of the standard browsers too.It is an open source browser and it is developed by Mozilla Corporation and available for Multiple Operating systems (ie) Windows, Linux, Mac OSX. and it comes with its private mode and powerful plugins. What's New in Firefox 55.0? Breaking profile changes - do not downgrade Firefox and use a profile that has been opened with Firefox 55+. Windows stub installer is now streamlined for simpler installation. Users requiring advanced install options should use full installers.